“It’s kind of coming out of the 250th, but also just out of a desire we’ve had for a long time to more widely share the cool stories that come out of Dartmouth,” head of Special Collections at Rauner Library Jay Satterfield said. College archivist Peter Carini said the idea for the series originated from a British Museum podcast that centered each episode around a historical artifact. “That’s a great idea, to do that with objects ... allowing [artifacts] to become the doorway or entryway into a bigger picture,” he said. Employing that method, the team selected 25 objects, one per decade, to craft each episode’s narrative. 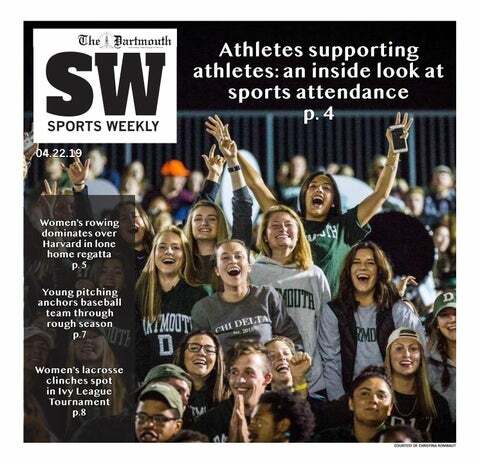 “What we’re trying to do is use those objects as a catalyst ... to create a picture of what Dartmouth was like on some aspect [at] some time,” Satterfield said. Carini said that the podcast will intentionally cover a broad variety of topics, ranging from the serious to the amusing. Episodes will detail the role of slavery in the construction of the campus, the effects of World War I and World War II on the College, student life, Dartmouth’s connection with the outdoors, the history of diversity on campus, Dartmouth’s relationship with its alumni trustees and broad administrative changes over the College’s history, said Carini. In choosing podcasts as a medium, the team was forced to reshape the way they convey narratives. “A lot of what determined my podcast for the 1920s was which [artifact] not only would allow a lot of different parts of the story to be brought in, but could also be condensed into 10 to 20 minutes of history at Dartmouth,” Carithers said. According to Carithers, the artifact she selected was a letter, an article from former College President Hopkins to psychologist Dr. Bing Croft, addressing the rampant paranoia regarding homosexuality and homosocial relations between Dartmouth men, especially student soldiers and those unaffiliated with the Greek system. On the other hand, Carini expressed that podcasts are a unique medium with advantageous features. According to Carini, employing podcasts as a medium also broadens the team’s audience, as listeners can engage with the narratives while participating in other tasks. Since the episodes are fairly bite-sized, around 10 to 25 minutes each, they are also easier for students to listen to, Satterfield said. Barrett added that she enjoys podcasts that foster connections between the listener and the story, transcending a simple overview of the topic. Carini added that although the core team for “Hindsight is 20/19” is comprised of Dartmouth faculty, the podcast will also feature a few student voices. Among these is Carithers, who said her archival research on the Dartmouth Players, a formerly existing student acting troupe, as a student research fellow at Rauner provided a unique insight into the 1920s as a decade, unearthing connections between the arts, Greek life and World War I at Dartmouth. “Up until the 1920s, like the College, [the Dartmouth Players] consisted of only men who were the students and the actors in it,” Carithers said. However, Carithers added that paranoia about male actors becoming homosexual due to playing female roles led the Dartmouth Players into becoming co-ed by recruiting local women, several decades before the College itself would admit women. Carithers said that in uncovering documents hidden in Dartmouth’s archive, “Hindsight is 20/19” sheds light on aspects of Dartmouth’s history that either lack information or have been censored over the years. Satterfield said the “Hindsight is 20/19” team intends to release the first four podcast episodes this upcoming January, followed by weekly releases of the remaining episodes throughout the year.